// Happy Thursday, y'all! I hope you all are having a great week and I'm sorry I missed you guys yesterday! I was too busy pouring vodka in my coffee after we got our quote back from the cabinet guy. I mean, Lord have mercy...I am knew that cabinetry could get expensive, but I had no idea exactly how expensive! Quick question to all my readers that have built a home, did you do double stacked cabinets? If you didn't, do you wish you would have? 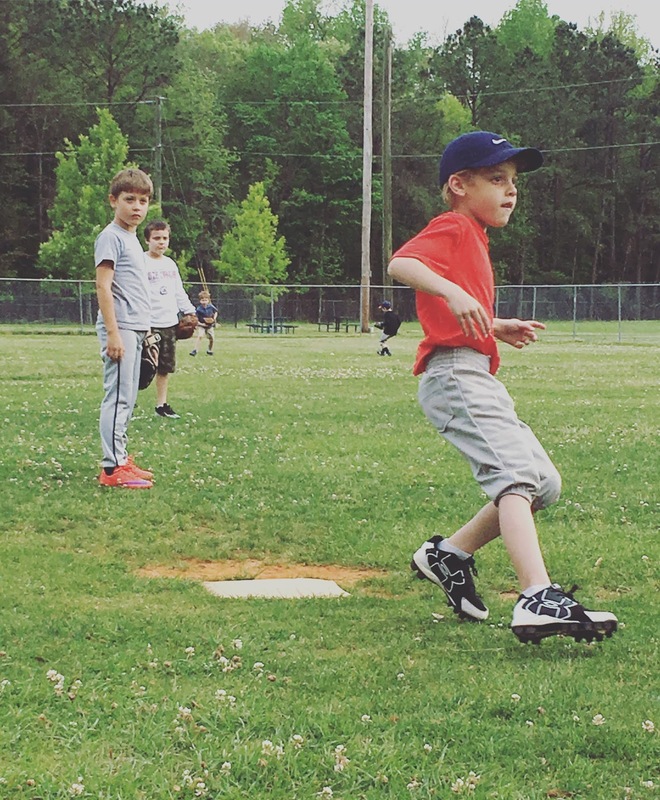 // I am so proud of my little man and his drive to be the best he can be on the ball field. Every evening since baseball season has started he has asked Todd to go practice with him in the backyard. I can definitely tell the practice is paying off! 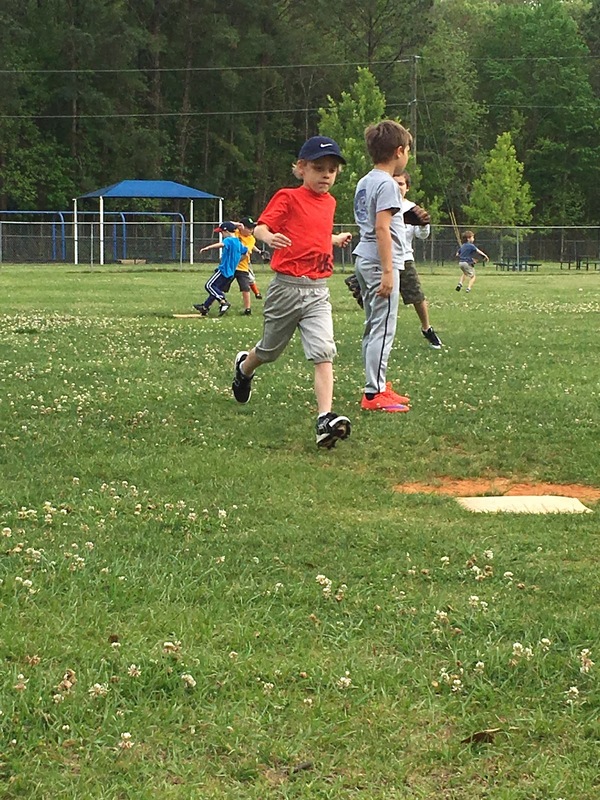 It was so exciting watching him practice yesterday, and that sweet little determined face as he ran the bases. 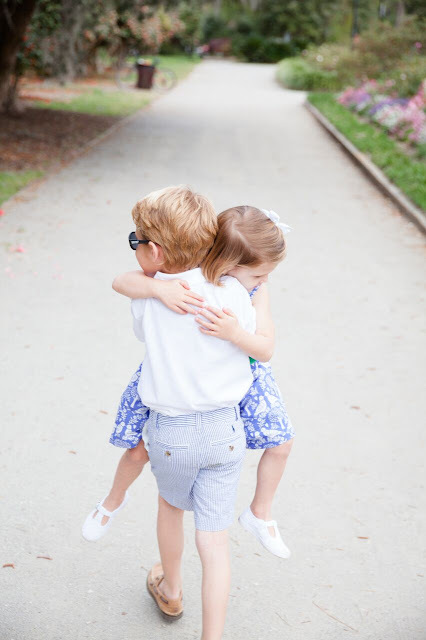 // And this little nugget is her brother's biggest fan! When he made it home she yelled out "Way to go bubba...good job!" And he looked over with that embarrassed, yet proud, little smile. // In just a few hours I will be hopping on a plane and heading to Dallas for the RewardStyle conference! It is always so much fun, and I can't wait to see some of my favorite blogger friends! 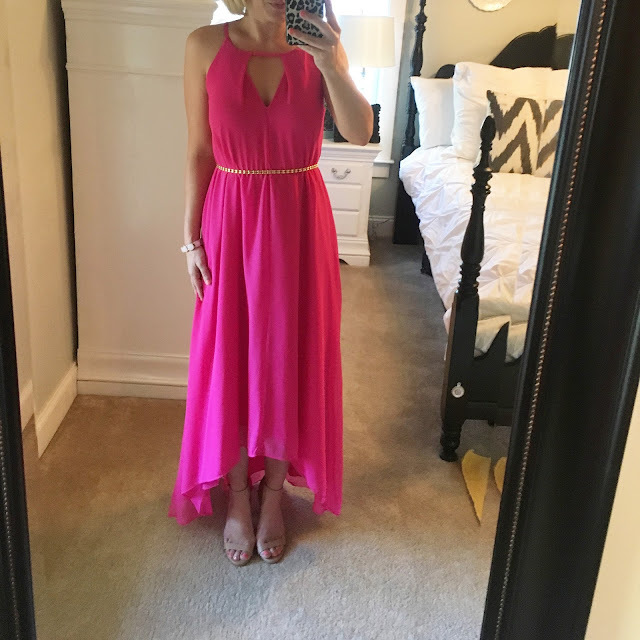 First off, can we discuss the fact that this maxi dress is only $54.00, comes in three colors, and feels like heaven when you put it on. Oh, and my belt, it's actually not a belt at all, it's my Charleston Rice Beads double wrapped and hooked in the back. For sizing reference its runs slightly large and I am wearing the xs. This next dress is currently on pre-order after the first shipment quickly sold out! I am so happy that I ordered it because it's even better in person. So if you love it, I would pre-order it now and they won't charge you until in ships (which is actually pretty soon on April 22nd)! For sizing reference it runs tts and I am wearing the xs. And the lovely ladies below are ALWAYS in my suitcase!!! The one on the bottom is the one I wear all the time and the one I have on in the two pictures above. And the one's on top are perfect for built in bras, low cut tops, dresses, and even thin swimsuits! I wear both of these more than a regular bra for sure! 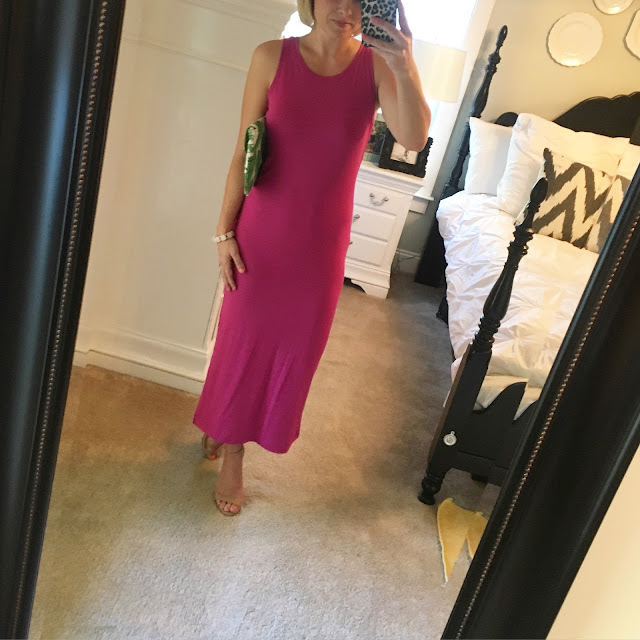 Most comfortable dress you will ever put on!! 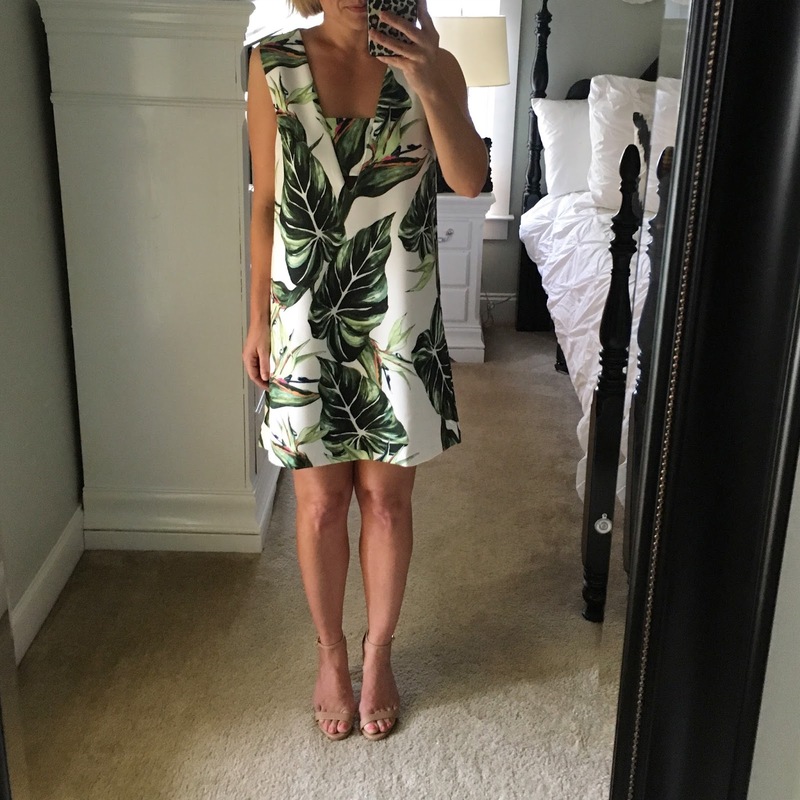 This dress may seriously be more comfortable than my pajamas, so I know it will be perfect for our plane ride! And I'll be tossing on these flip-flops instead of these heels for the ride as well :) For sizing reference, it's tts and I'm wearing the xs. And can you guys believe this dress is a Mara Hoffman!!!! 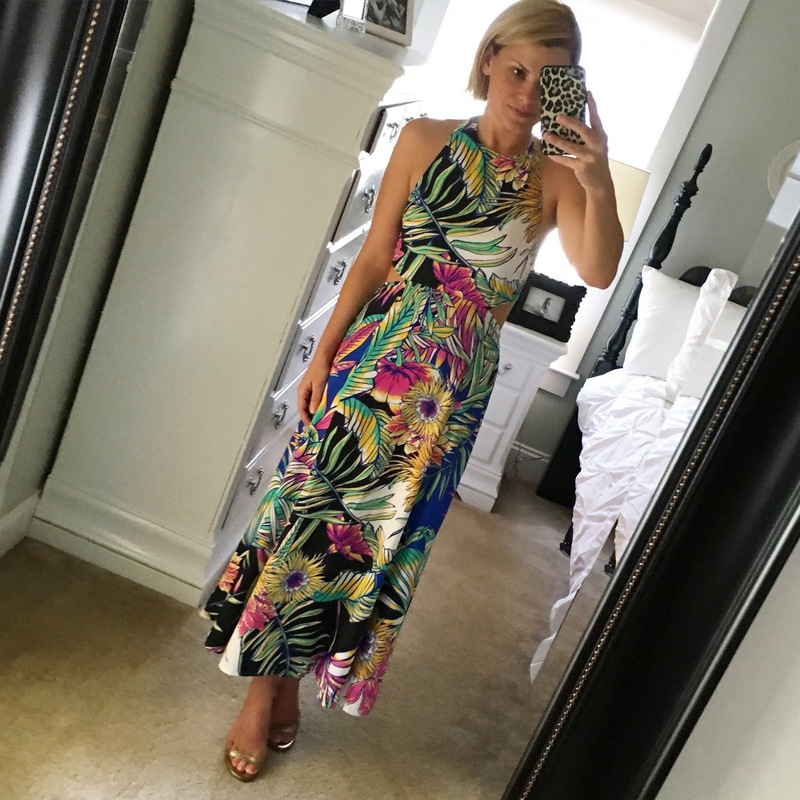 It's a Bloomingdale's exclusive, and this print is just stunning! Added bonus, Bloomingdale's is currently having their Friends and Family Sale, so it's an additional 25% off the already listed sale price!! You can check out the entire exclusive selection right here! And don't forget the code FRIENDS to save! For sizing reference, it's tts and I'm wearing the 0. Also, today is the LAST day to shop the Shopbop Friends and Family Sale and save 25% off of your order! Use code INTHEFAM to save. I picked up this dress because I loved the color and the pattern, but I wasn't too sure about how the top would work out. I'm happy to report it's pretty awesome. It has adjustable straps in the back so you can loosen or tighten depending on how much skin you want to show :) And again, this bra is perfect with it. Dress runs tts and I am wearing the xs. I also ordered this swimsuit because I loved the print so much, but these bottoms are a little too skimpy for a mama with two kids! I am going to send them back and I ordered these instead, but I wanted to show you guys how gorgeous this print really is! 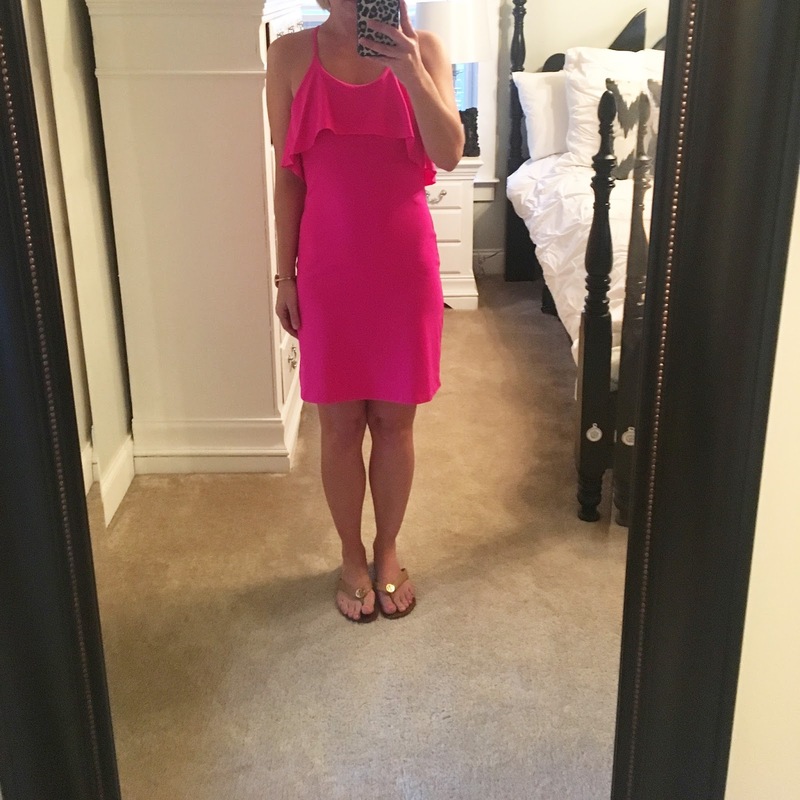 And this mini pink dress is super cute and has a built in bra! For sizing reference, the dress runs small and I am wearing a small, but I would probably been fine in the medium. And that, my friends, is it for today! Off to go snuggle my babies before I head out!! Make sure to bring a couple of sweaters or cardis or something! The weather in Texas has been really strange lately - warm during the late afternoon and then quite chilly in the evening and first thing morning time. Have a great time in Dallas! Can't wait to hear all about it! By double-stacked do you mean regular cabinets and then the smaller cabinet on top that reaches to the ceiling? If so, yes. A strong yes. We recently completed our new house and we have double-stacked cabinets with glass fronts on the top cabinets. I think it's a must for resale value since kitchens and bathrooms sell houses and all of the newer homes are showing them. But I also love the look. We haven't put a bunch of stuff in ours yet, but just putting the lights on in the top cabinets makes the kitchen look so warm and sophisticated at the same time. Highly recommend. I'd cut corner in other places, just not the kitchen. We double stacked our farmhouse cabinets. We use some and others - no.I would say if it is a budget buster - skip it - OR do really tall cabinets which is actually cheaper.